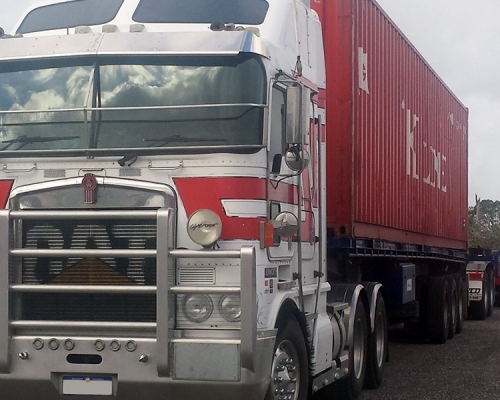 To meet the needs of our customers, we now offer a range of semi trailer delivery or pickup services. As a business we have plans to add more semi trailers in the future according to demand. Australia has the largest and heaviest road-legal vehicles in the world, with some configurations topping out at close to 200 tonnes (197 long tons; 220 short tons). The majority are between 80 and 120 t (79 and 118 long tons; 88 and 132 short tons). Best West Logistics can provide a solution to best suit your transport requirements. B-Double- 27.5 m (90.2 ft) max. B-Triple- 33.5 m (110 ft) max. Pocket road train- 27.5 m (90.2 ft) max. This configuration is classed as a “Long Vehicle”. Double road train- 36.5 m (120 ft) max. Triple and AB-Quad road trains- 53.5 m (176 ft) max.